Hollybeary Creations : Sweet Treats with Newton's Nook Designs! 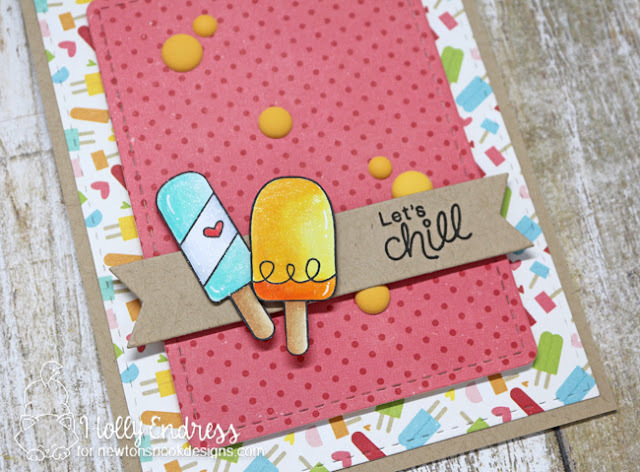 Sweet Treats with Newton's Nook Designs! Happy Tuesday everyone... I'm up on the Newton's Nook Blog today with this sweet card featuring the Summer Scoops stamp set. 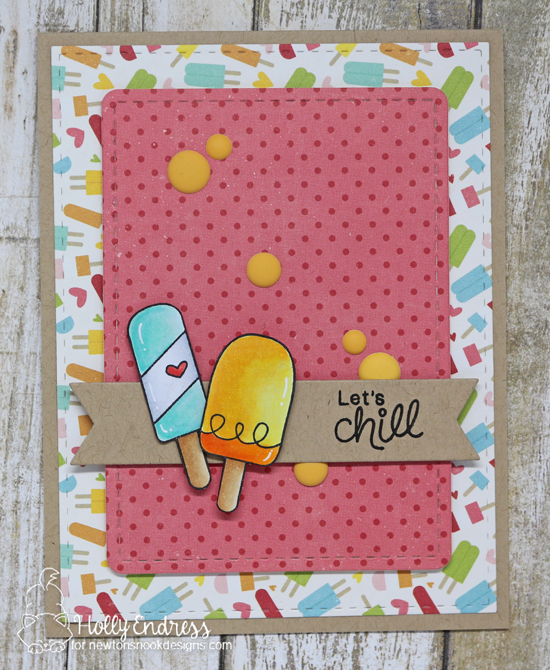 I started by creating a Kraft Colord A2 size card base and then I added a piece of the Echo Park Happy Summer 6x6 Paper that I die cut with a Large Sticthed Rectangle. Then I added a second Stitched Rectangel from the same papers that I die cut with the NND Frames and Flags die set. I also die cut a banner from the same die set and stamped the sentiment in Black. I stamped the popsciles onto some X-Press it blending cardstock and colored them in with Copics to coordinate with the Background papers. Then I trimmed them out and added some highlights with a White Gel pen and some sparkle with a Clear Wink of Stella Pen. I adhered the popsciles with some foam tape and added a few matte enamle dots from Doodlebug Deisgns. This is such a fun stamp set to have in your stash, it's perfect for Birthdays, Just a Hello card and more. Head over to the store to grab a set for yourself and be sure to check out the NND Blog for more inspiration from the team!